Oshiomhole argues that Jonathan and the former minister should be made to face law since it had been proven that they both made approvals for which billions of dollars released for the procurement of arms for counter-terrorism operations under Jonathan. He made the statements in relation to the current $2.1 billion illegal arms deal saga former national security adviser, Sambo Dasuki; Sokoto State governor Attahiru Bafarawa, and former chairman, DAAR Communications, Raymond Dokpesi, are currently being probed by the EFCC for. “The issue is whether the Nigerian President under the constitution has the power to approve funds belonging to local, state and federal government- funds that have not been appropriated by the National Assembly. That is a criminal offense for which Okonjo-Iweala ought to face criminal prosecution. These things are just discussed and wished away. For me, I will stick for the truth and don’t care what people will say. Talking about revelation, look at the letter credited to Dasuki – the immediate past National Security Adviser. In his defence which I read in your paper, he seems to admit that money was spent but it was approved by the President. Does the Nigerian constitution empower the President to spend money which has not been appropriated by the National Assembly? And they took cash from the CBN. The Money Laundering Act says if you take cash in excess of N5 million transaction, it is money laundering and it is criminal. This one won’t shut up and focus on his state. There’s nothing he has done in Edo state. Terrible flood and erosion everywhere. All the world bank loans he collected have entered voicemail or he used it to marry wife. He’s not even any better. he just keeps making noise everywhere. How many northern or western Nigerian ex-presidents have been prosecuted for corruption especially those who served without National Assembly oversight with all the supreme military powers at their disposal? I am still not convinced that GEJ’s regime is the most corrupt. It is a gang-up meant to discredit that region from future aspiration. 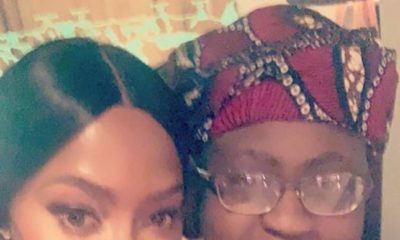 This man should just shift ooo. The economy is in shambles every good thing goodluck did to improve the economy has been destoryed by these bigots and yet he’s trying to divert attention from their foolishness. We know they diverted funds but it should not stop you guys from doing your job. Change has come oooo change believers how e be now? Enough of this distraction. PMB and his APC should settle down to deliver dividends of democracy and stop using GEJ as excuses for their ineptitude. We don’t want to know why you are unable to kick-start the economy and stop referring to GEJ, APC is the party on the saddle. 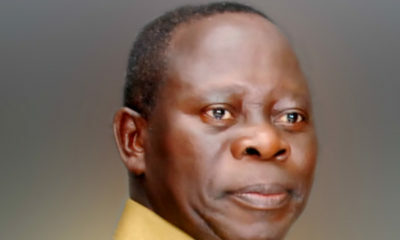 Oshiomhole should stop hallucinating and calm his incessant erections and hit the ground running. Someone please tell APC that election has finished. It is so sad that almost everyone has lost respect for Adams Oshiomhole who was once revered for his honesty, fierce and dogged fights for the masses and labor union. Nigerians once thought Oshiomhole was incorruptible when he was an outsider to power and the politics of Nigeria. People really thought wrong. 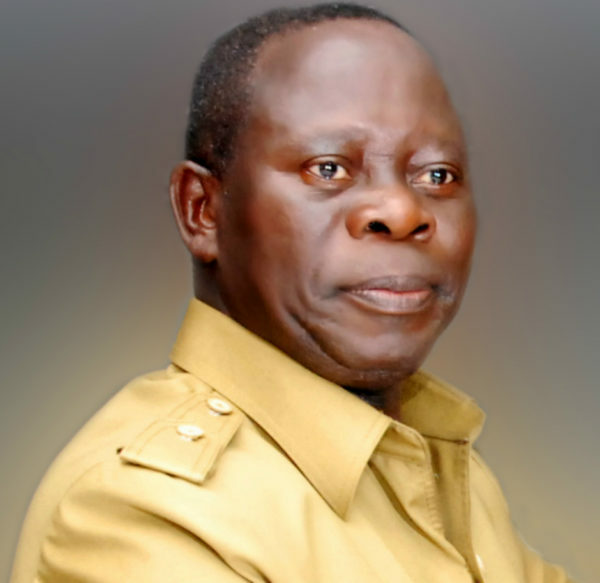 Oshiomhole requested for N15 billion low interest loan, which part of his plan was to offset Edo State’s high interest loan as well as build his multi-billion mansion unfortunately Okonjo Iwealla denied the loan request after critical credit risk analysis. Its an iron how someone who for more than three decades advocated for accountability and projected image of penury and simplicity still longed for a superfluous multi-billion mansion and personal estate. Click this to view; dailypost.ng/2012/04/19/exposed-photos-of-comrade-governor-adams-oshiomole-texas-style-mansion-in-edo/ How can someone whose net-worth is less than N100M afford a multi-billion naira home in his village yet accuse others of corruption? Please, on what basis does Oshiomhole have the moral standing to accuse? What businesses or investments did Adams Oshiomhole own before he became a governor that generated N100M dollar profit annually? Also, he needs to show his tax certificates to Nigerians to attest to the fact that he has investments that generate billions in profits to afford the new lifestyle he tries to hide. The immunity clause needs to be removed so that all these governors and Nigerian politicians can be prosecuted at the same time they commit their monumental fraud on the Nigerian people and treasury. 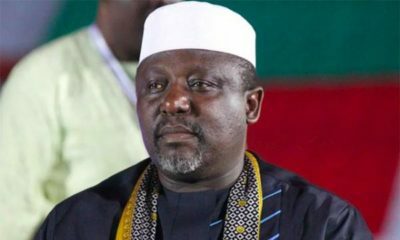 There is no saint among the 36 governors, senators and house of rep members. Both APC and PDP are cut from same fabric. Na d same people ooo!!! That’s how in law school, every day they announce “students from so and so state you have a meeting concerning your bursary from your state” I have waited tire dey no announce for Edo state.